Spring is here, which means you probably have gotten your grill ready to start cooking delicious foods outdoors. Even though grilling is a lot of fun, it has the potential to be dangerous as well. Knowing the best grilling safety practices is essential to be a true grill master. Fire safety is a top priority at Bart Fireside, so we would like to share some outdoor grilling safety tips from our friends at the National Fire Protection Association (NFPA). Of course, you know you should only use your grill outside and away from your home and deck railings. You should also never place your grill underneath any eaves or overhanging tree branches. Never let any children or pets get too close to the grill when you are using it, and be sure your grill is never left unattended. 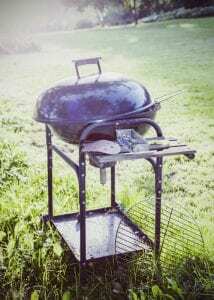 Before you use your gas grill, check all of the connectors and hoses to be sure there are no gas leaks. You can check the main hose easily by applying a soapy water solution to the hose with a spray bottle or a brush. Turn the propane tank on, and look to see if any bubbles appear around the hose. If you do see bubbles, you have a gas leak, which should be repaired by a professional gas grill serviceman. If you don’t have any bubbles, your grill is safe to use. However, if you ever smell gas while you are grilling, you should turn the grill off completely. If you no longer smell gas, you still need to wait to have the grill checked out by a professional. If you keep smelling gas after you have turned the grill off, you should call the fire department immediately. You have several options available to help you get the charcoal started. A charcoal chimney starter let you get the fire started with newspaper. You can use a liquid starter, but only use one that has been made to use with charcoal. Never add any liquid starter to a fire, and keep the liquid starter away from heat sources and children. 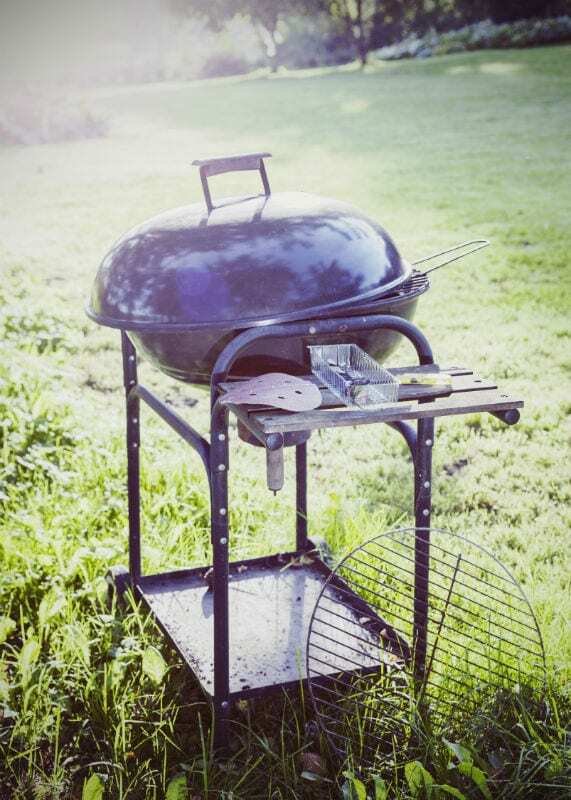 You can also use an electric charcoal starter, but be sure to use an outdoor extension cord to plug it in. After grilling, you need to let the charcoal cool completely before disposing it into a metal container. Now that you know the best outdoor grilling safety tips, you are ready to grill! Contact us at Bart Fireside for all of your grilling needs this spring and summer.